Wow! Thank you Jared Kelly! 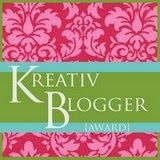 I want to thank Jared, one of my blogging visitors, for giving me such an honored award. 2- Link back to 7 artists to whom I would like to grant this award.